We’ve said this before and we’ll say it again, good-quality shower & bathroom products for men can be really hard to find. The majority of offerings tend to fall short of expectations or don’t really cater to men’s tastes, nor do they have particularly masculine fragrances. 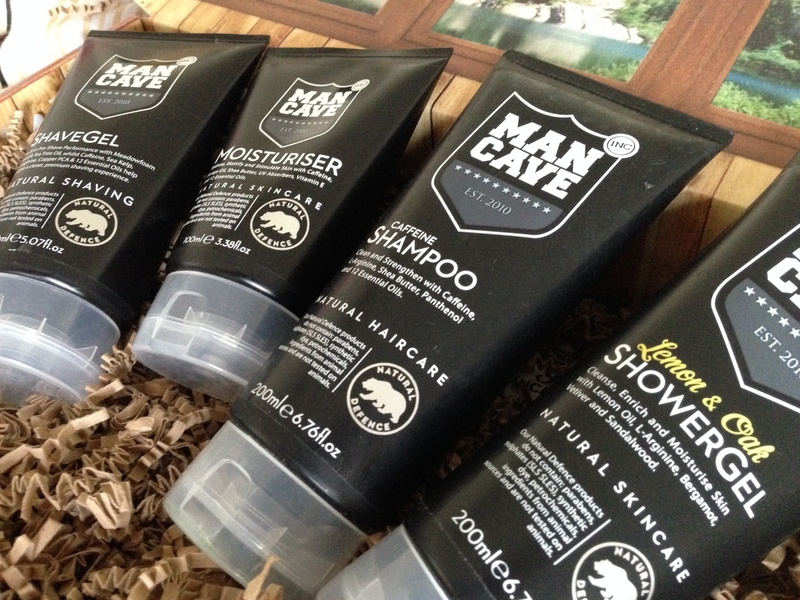 Fortunately, ManCave have decided to remedy this issue with their complete bathroom range made entirely from natural ingredients and with their male grooming movement spearheaded by the phrase “#OwnTheBathroom”. Featured in publications like GQ, Men’s Health and FHM and praised by all of them, it’s clear that this collection is worth checking out. 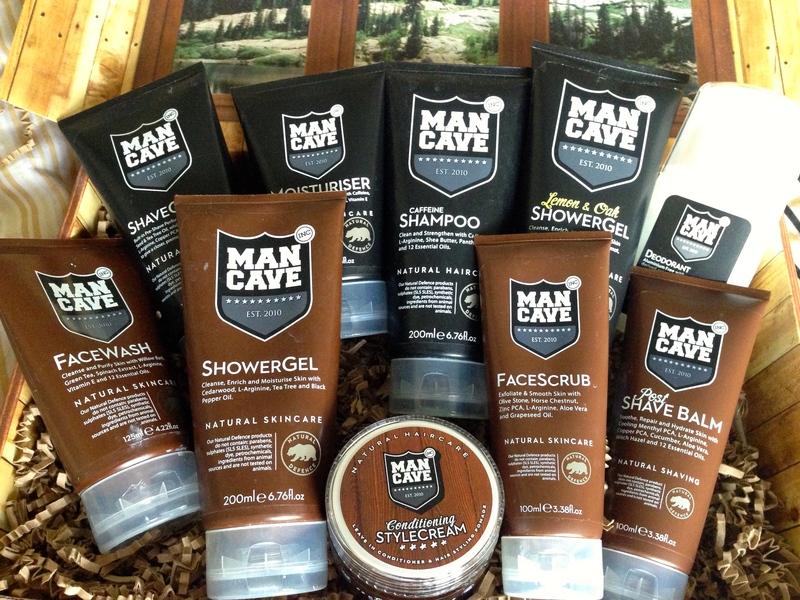 We were lucky enough to be gifted the full range and trial them for the past few weeks, to see if ManCave’s promise of restoring men’s natural masculinity is one they can keep. The full collection has a high quality feel to it with each product’s texture fitting its purpose, both of the shower gels are light and form a fragrant lather when applied whilst the shave gel is slightly heavier and forms a thicker more luxurious foam to help decrease skin nicks during shaving. The caffeine shampoo and moisturiser both provide a boost of energy to your hair and skin, we found when we applied it in the morning both the fragrance and the caffeine helped wake us up and prepare for the day. The deodorant is a gel-like roll-on that feels cool when applied and has a subtle fragrance that is neither too weak nor overpowering. Favourite Product – Olive Stone Facescrub: This scrub is by far and away one of the best ones we’ve ever tested, the overall consistency feels light and refreshing whilst the abrasive beads natural remove oil and dirt to help cleanse pores. It is a joy to use and smells fantastic with each application, any man who is looking for masculine exfoliating product, we suggest you check this out. One of the biggest factors that ManCave have clearly spent a long time working on is the scents used in their bathroom ranges, each product has a unique smell to it which works well on its own or nicely complements the rest of the collection. Thanks to the ingredients the range smells incredibly fresh and natural, while at the same time exuding masculinity. We’ve had several friends (both female and male) complement the fragrance saying that it is both enticing and manly in character. Favourite Product – Whisky Conditioning Style Cream: That’s right, a whisky scented styling cream! Don’t worry it’s not overpoweringly strong, so you won’t go into the office smelling like you’ve had a rough night out, but it’s used as an element within the overall scent of the product. Not only does this styling cream provide a medium/firm hold, but it actually conditions your hair meaning that your hair feels softer to the touch. We’ve had so many compliments about it that we’re already looking to re-stock to make sure we don’t run out anytime soon. 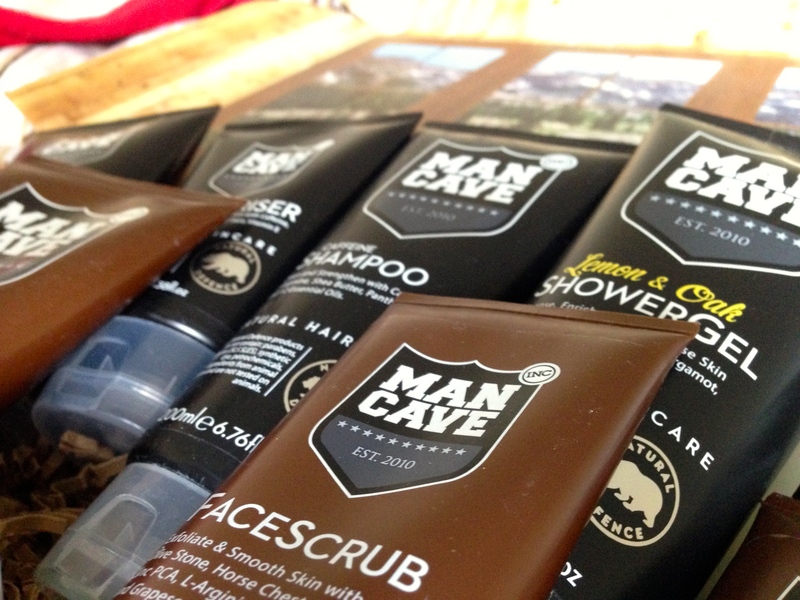 Generally, the ManCave packaging is simply styled and perfect for the products. Mainly incorporating woody browns and blacks the design is inherently masculine without appearing patronising to men (we’re looking at you “Gillette: Mach Fusion Power Stealth”). Our only issue comes from the design used for the deodorant roll-on, the bottle is a wider “up-down” roller which applies the deodorant directly. This is (sometimes) slightly awkward to use and certainly not compact meaning it can take up a lot of room in a washbag when travelling. We’d prefer a smaller “ball ” roll-on for ease of application and because they’re more easily packed, either way it would certainly be a great addition to the range. 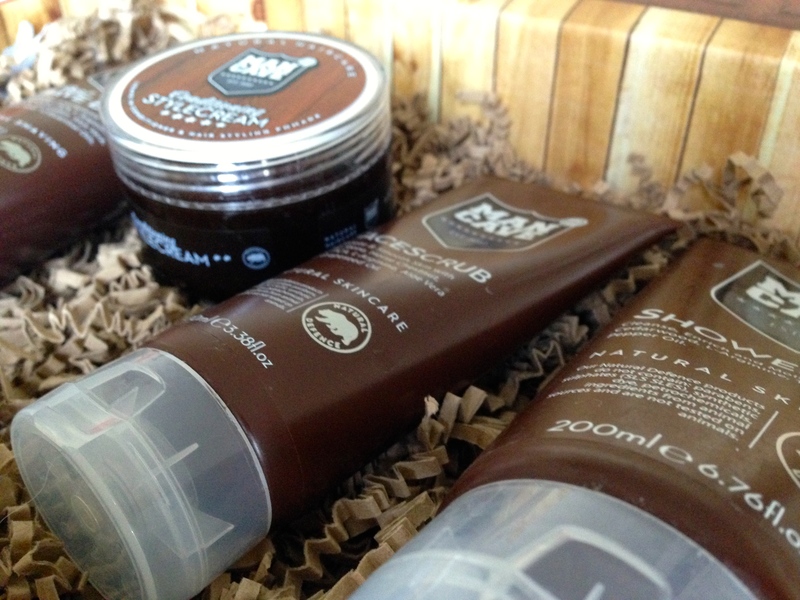 Overall, we prefer the dark brown packaging to the black packaging, but that’s just our preference. For the most part, nicely packaged and not too complex to use. With no product in the range costing more than £10, and the shower gels costing less than £4, it’s clear you’re getting a great deal of value for your money. Though by no means the cheapest on the market, it’s refreshing to see a male product range that doesn’t force you to pay through the nose for top quality. We’d advise testing the shower gels first to find out which fragrance you prefer, we love the Cedarwood but the Lemon & Oak is wonderfully fresh and citrus-y.